The Valhalla from Reate Knives offers a Persian-style folder design by knife-maker Faisal Yamin. 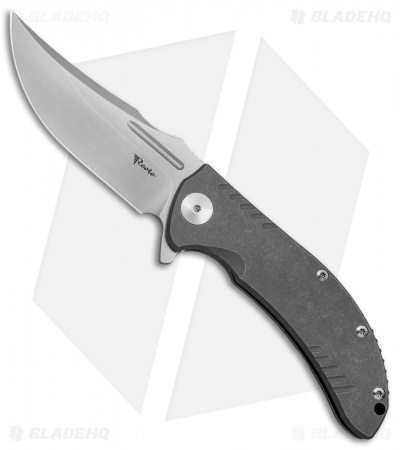 This Valhalla model is built with a titanium handle and a satin finished clip point blade. 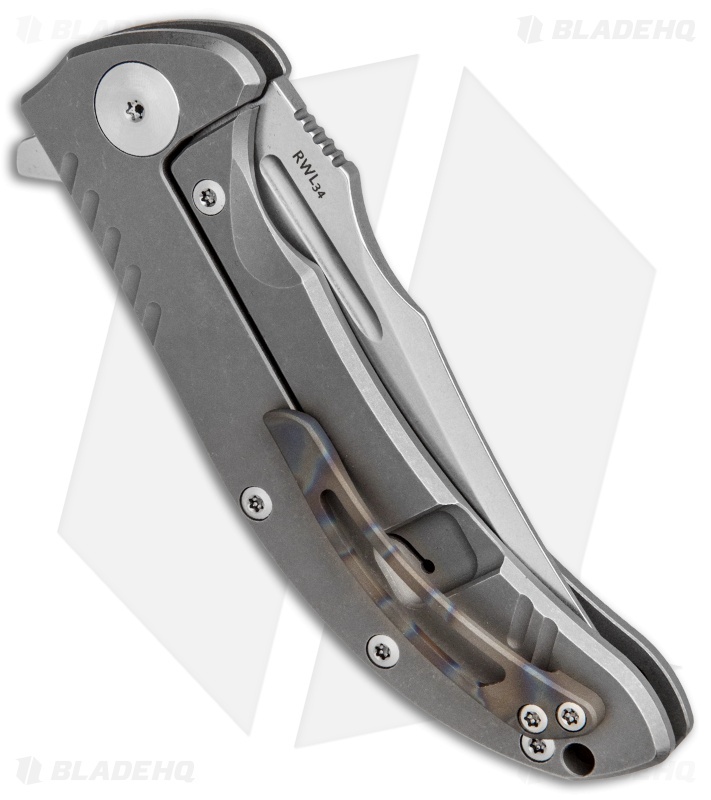 The tough titanium handle features a subtle machined pattern for improved grip and style. A Damasteel RWL-34 steel blade offers a strong edge with excellent sharpness and durability. 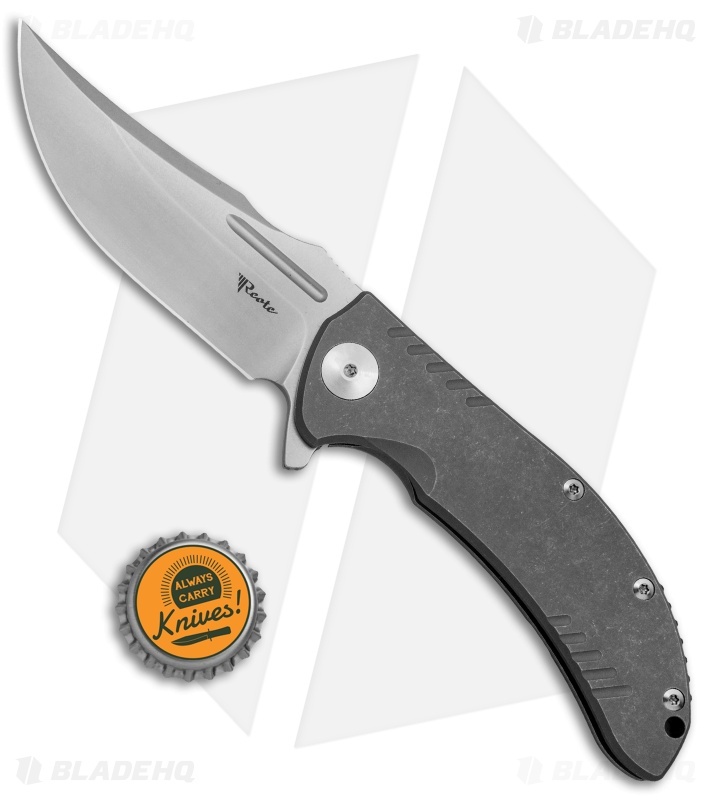 The Valhalla design is finished off with a flamed titanium backspacer and pocket clip. Freeze edged RWL-34 blade steel provides extreme edge sharpness and durability. 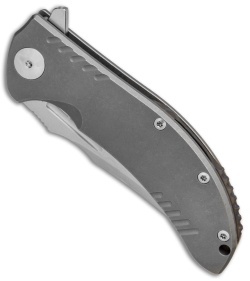 Multi-row ceramic ball bearings offer smooth deployment with the aid of a blade flipper. Steel reinforced titanium lockbar for dependable blade lock up.